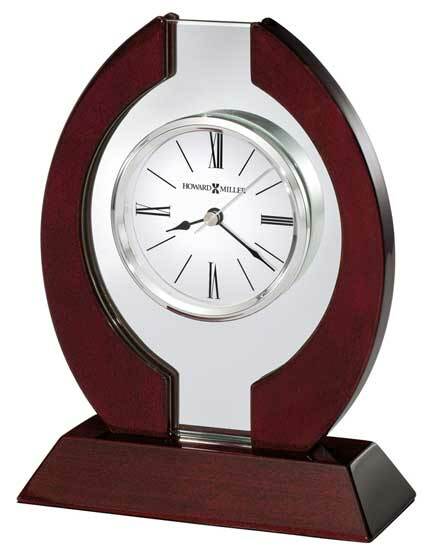 This handsome clock features a floating dial, suspended in 3/8" glass. 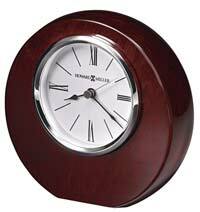 The majestic case and beveled base are finished in High Gloss Rosewood Hall. White dial with black Roman numerals and hour markers, black hour and minute hands, silver second hand. The dial has a glass crystal is surrounded by a polished chrome-finished bezel. A full felt bottom protects your desk or tabletop. Quartz movement includes one AA battery. 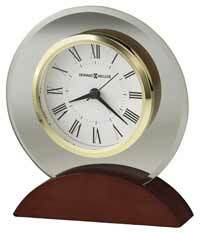 Size: Height 8.25" Width 6.25" Depth 2.75"
Clocks for sale at The Clock Depot including the 645-772 at discount prices.